THREE RIVERS, Calif. — Sequoia trees were around long before we were born and they will remain long after we are gone. 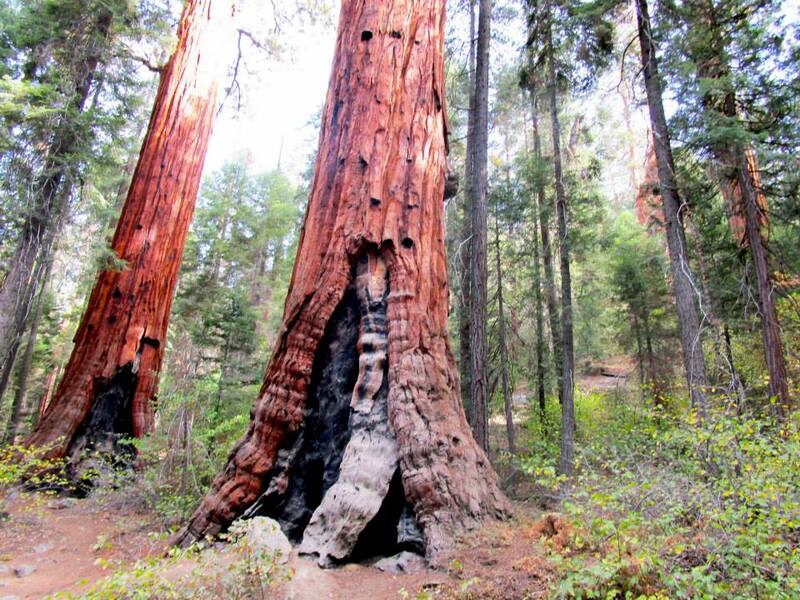 Located throughout the 865,964 acres of Sequoia and Kings Canyon National Parks, these trees are a true testament to the enduring power of nature. Besides being the largest species of trees in the entire world, the giant sequoias have witnessed evolution and other past events that we can only imagine or read about in history and science books, making them a must-see for travelers who are interested in nature. Writer Melissa Ostroff stands to the left of a giant sequoia tree to show the size of the sequoia trees in California’s Sequoia and Kings Canyon National Parks (Staff photo). Although they can be cultivated in other places, sequoias grow naturally only in the Western Sierra Nevada Mountains of California, which makes them incredibly rare. They tend to flock together, and are located mostly in groves throughout Sequoia and Kings Canyon National Parks. Due to how rare sequoias are, it is strictly prohibited to chop down the trees for any reason. However, this hasn’t stopped people from attempting to do this in the past. A giant sequoia tree stands tall in Sequoia and Kings Canyon National Parks (Photo by Melissa Ostroff). No one is quite sure exactly how old these trees are, but the Native Americans first discovered giant sequoias. The only way to tell how old the trees are is through counting the rings. However, in order to count them, the tree would have to be chopped down. Therefore, it is difficult to provide an exact date. The best estimate we have is from a tree that is believed to be more than 3,500 years old. A pinecone from a sequoia tree is unlike other pine cones. They are about triple the size. This is how the trees regenerate, because the cones contain seeds that are dispersed and naturally buried, implanting them into the soil and creating more trees. 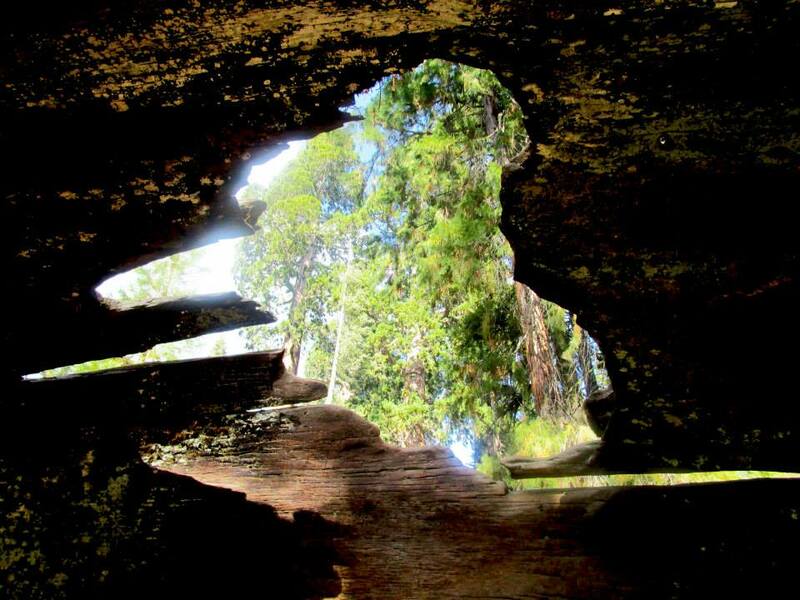 The view from the inside of a hollowed out giant sequoia tree trunk (Photo by Melissa Ostroff). However, the trees are currently having difficulty reproducing, due to an abundance of vegetation in the area, which hinders their growth. In order to fix this problem, prescribed burns must take place periodically. Noticeable throughout some places of the park, there is no reason for travelers to be alarmed (in most cases) if they witness a small fire near the road. Although it may seem counter-intuitive to start a forest fire, it greatly increases the chances of new sequoia trees. It enables young trees more sufficient access to essential nutrients, lots of sunlight, and additional rainwater. In addition, the bark on a Sequoia tree is thick enough to resist damage from the flames. It also contains a chemical called tannin, which protects the wood. This helps to clear out the excess vegetation in their habitat. In addition, the fire aides in helping to open up the cones, allowing the seeds to disperse. In the past, these fires used to occur naturally. However, with the increased population of humans and their fears of wildfires, people generally put these fires out when they witnessed them. Therefore, this naturally occurring cycle of the ecosystem must be worked back into the environment of the sequoias in order to ensure a healthy cycle and preservation of the trees. Animals also assist in the construction of and destruction of the trees. The longhorn beetles and Douglas squirrels, which feed on the cones, also assist in releasing the seeds into the ground. However, carpenter ants, which infest the tree trunks, have been responsible for the death of many Sequoias trees. The fires help to kill these ants, before they become a larger problem. 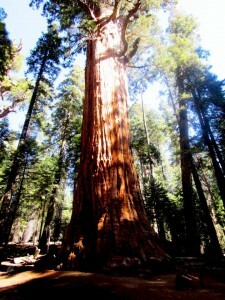 Although there have been larger sequoia trees in the past, such as Mother of the Forest, the largest living tree in the park currently is General Sherman in the Giant Forest. Standing 275 feet tall and weighing in at 2,100 tons, this tree is a must-see when traveling through the park. “Seeing this tree in person is surreal. It’s a great reminder of the force of nature, which has the power to create living things far larger than we as humans could ever be,” said Burke. Two giant sequoia trees in Sequoia National Park (Photo by Melissa Ostroff). 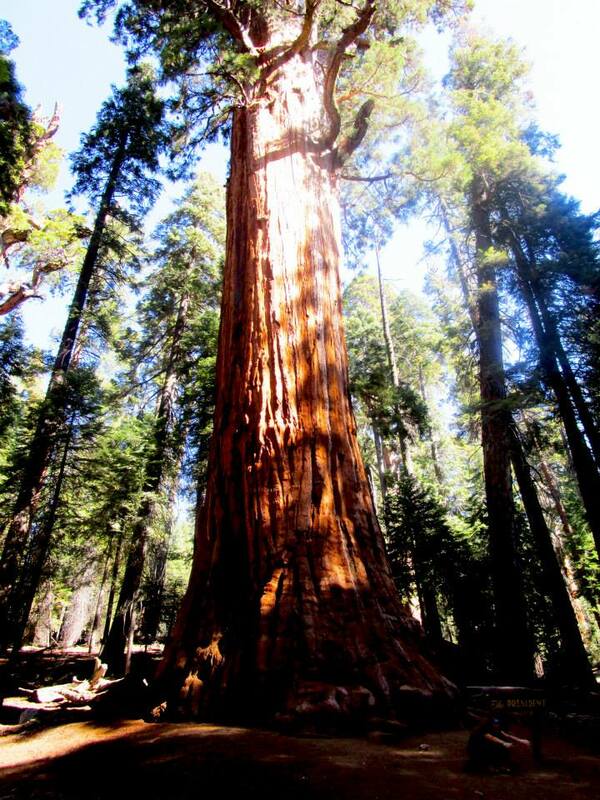 Following the General Sherman in size, the other size-comparable trees in the park include: General Grant, President Washington, Lincoln, Stagg, Boole, Genesis, Franklin, King Arthur and Monroe. 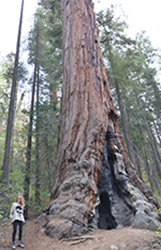 Part of visiting the sequoia trees is to admire them, but the purpose of the park also serves as a reminder to travelers that these trees, which are unique and rare, must be protected, so that they can be enjoyed by future generations. The take away message from visiting Sequoia and Kings Canyon National Parks is that each of us can make a difference by taking steps every day to protect the environment. The park rangers pointed out that as a whole, humans haven’t been so kind to nature, but only we can fix the damage that the human race created. The rangers emphasize that the only way this can be done is if we learn to get along with nature, rather than go against it. Entrance fees: Vehicle pass is $20, individual pass is $10, annual pass is $30. Directions: You can access the park via two different highways: California 180 and California 198. Road conditions: Check the current road conditions by calling 559-569-3341. Main attractions: Foothills, Mineral King, Giant Forest/Lodgepole, Grant Grove, Cedar Grove, Wuksachi Lodge – Lodgepole, Sequoia National Park, John Muir Lodge – Grant Grove, Kings Canyon National Park, Crystal Cave.